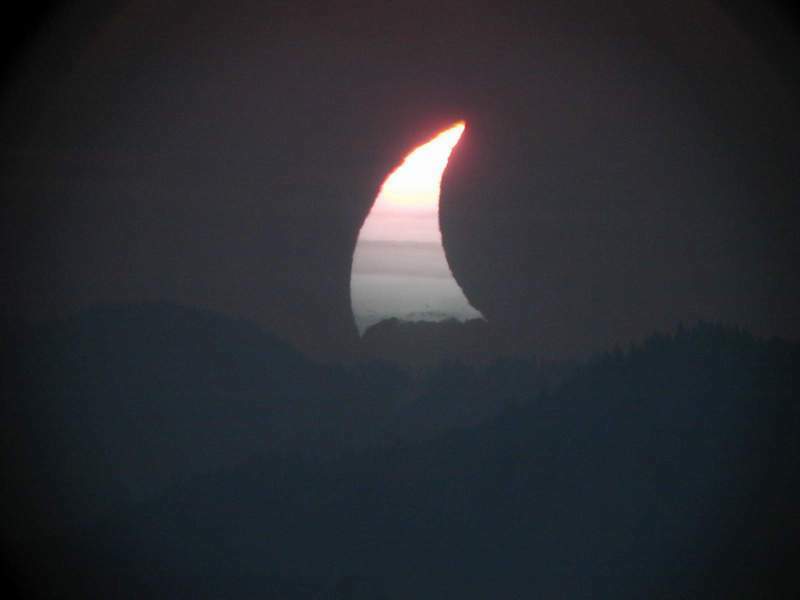 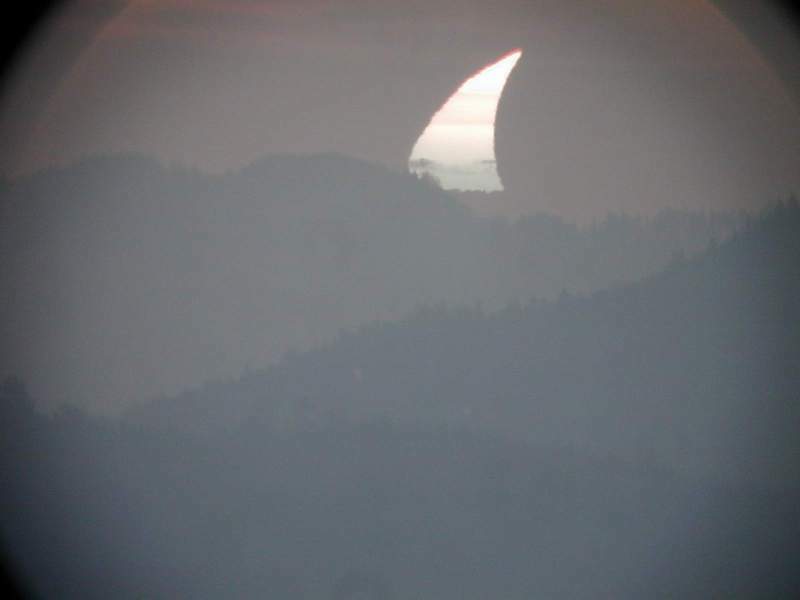 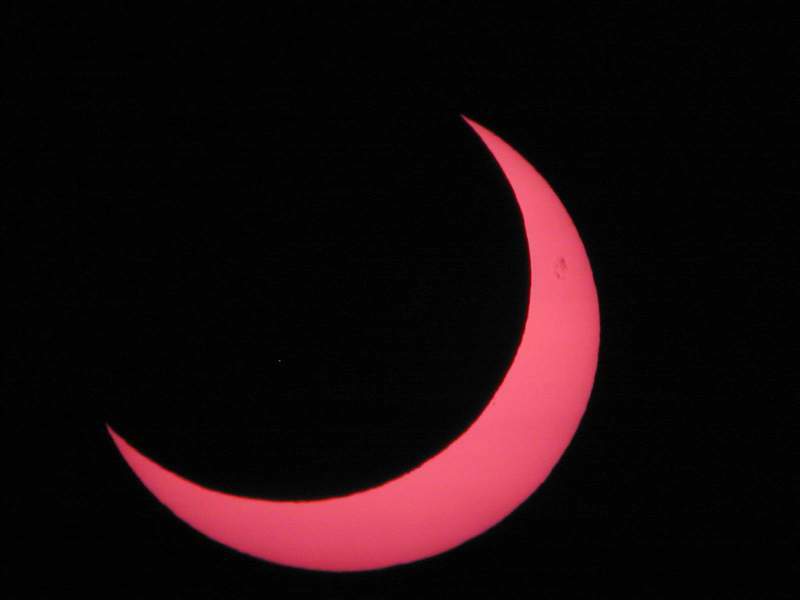 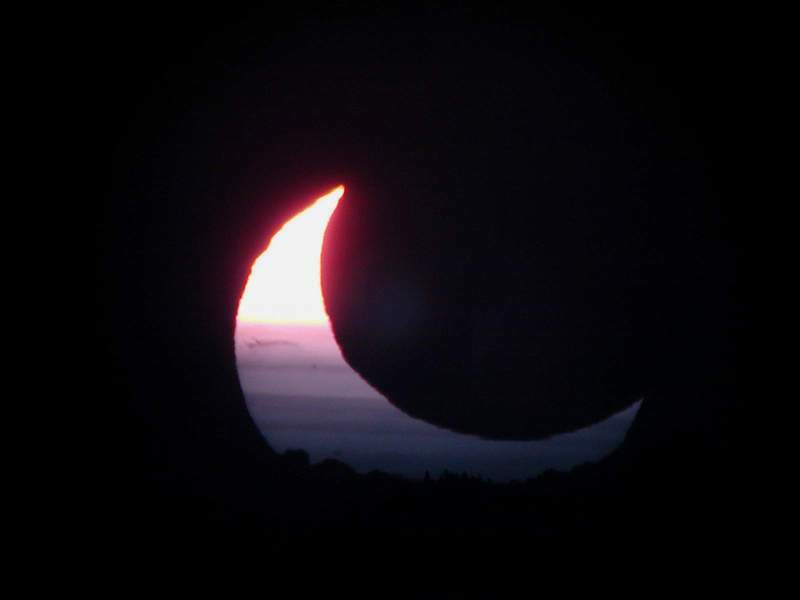 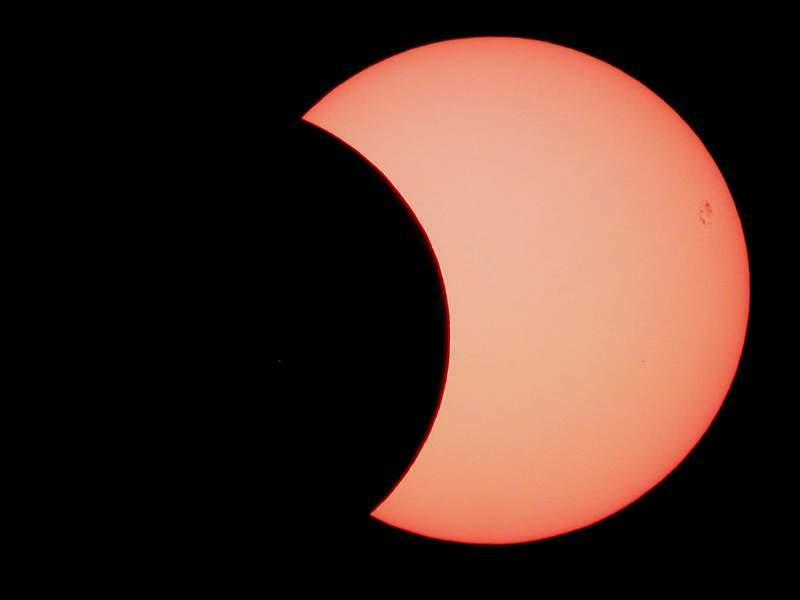 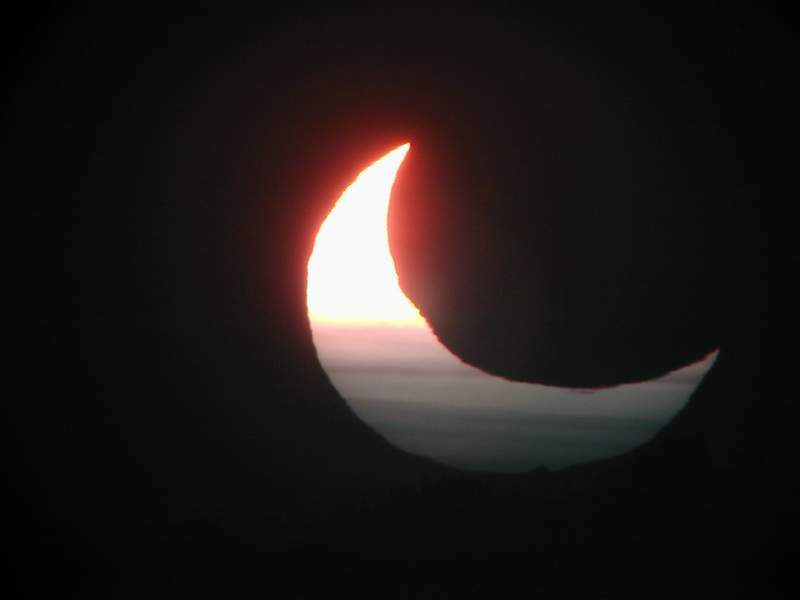 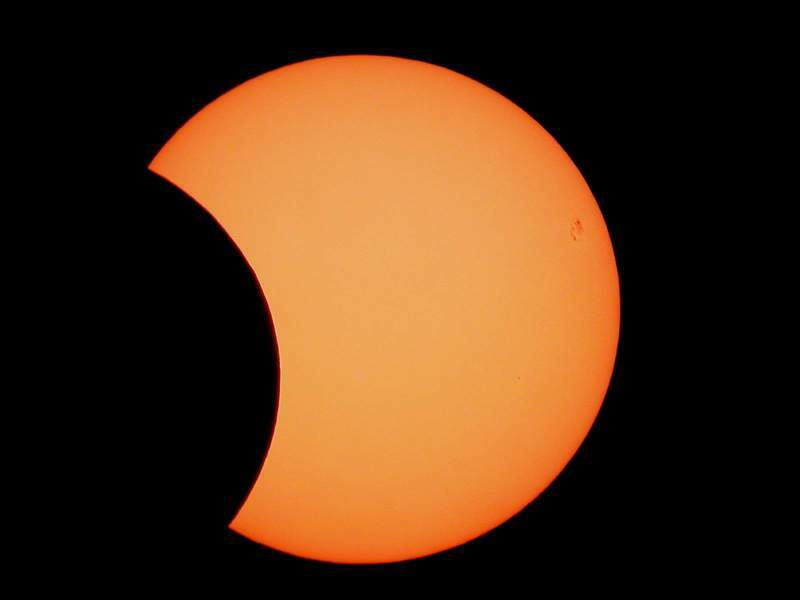 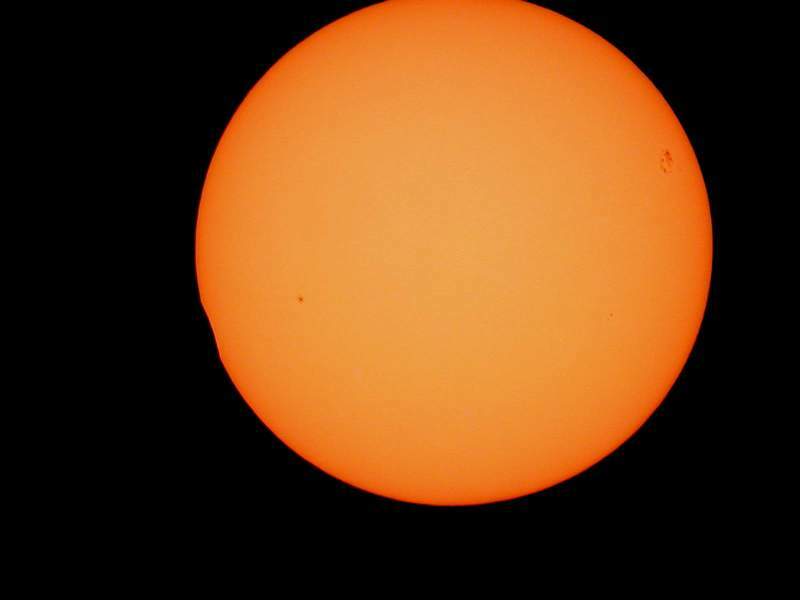 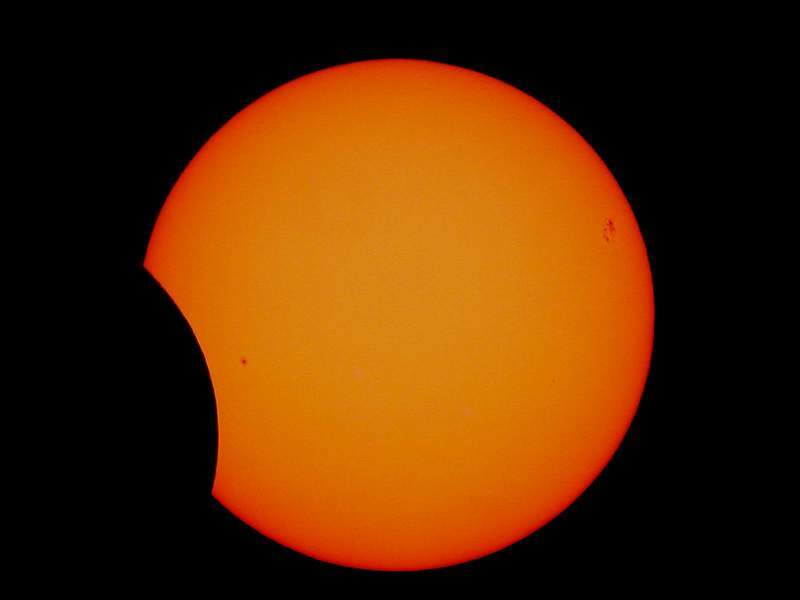 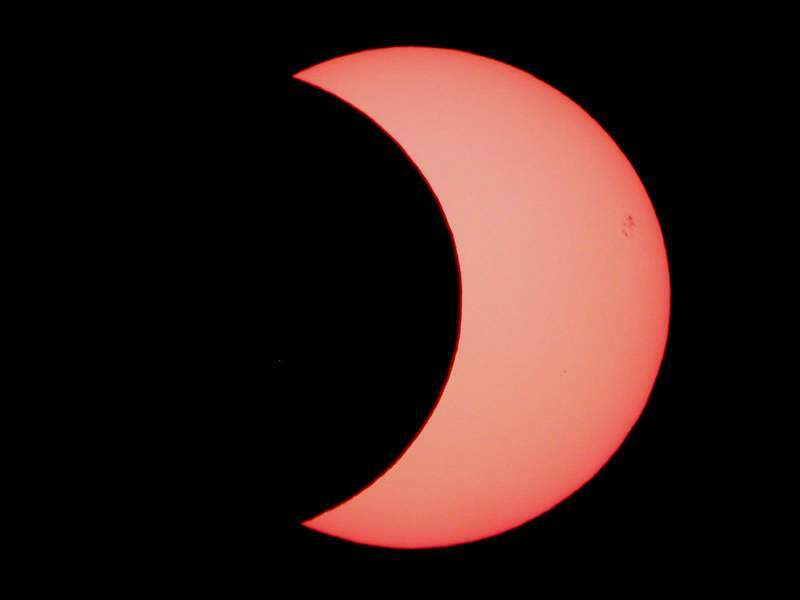 Partial Solar Eclipse 2003 in Mariazell Austria. 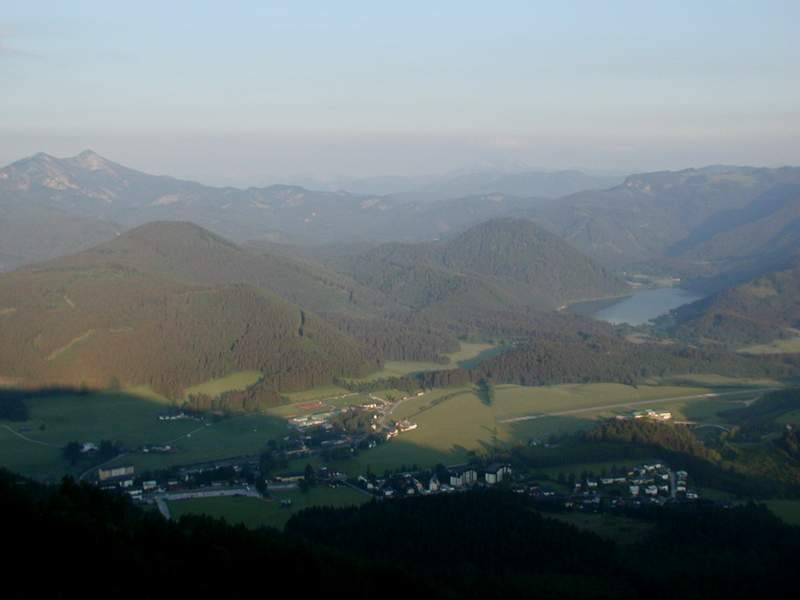 On the 31st of May 2003, early in the morning (4.30 AM) we got with the cable car up on the top of the Buergeralpe in Mariazell. 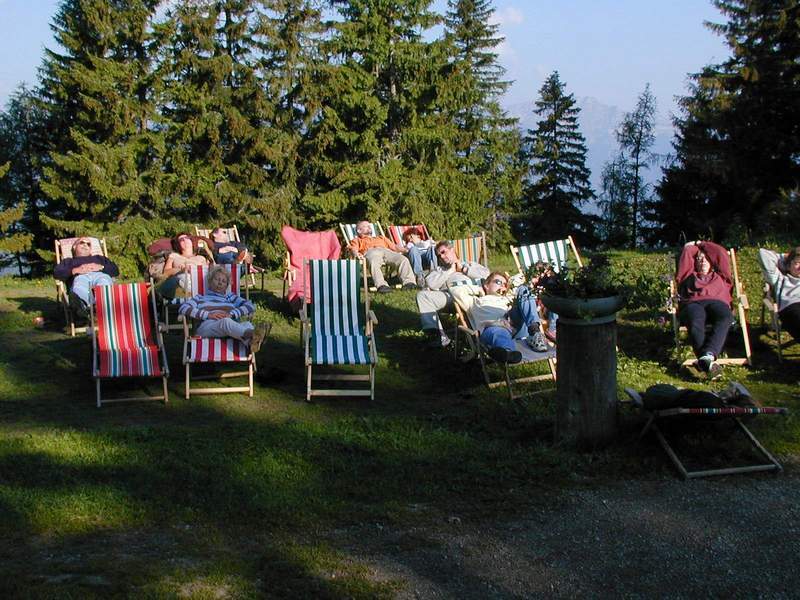 We were a group with members of the BAA (Burgenländische Amateurastonomers), WAA (Vienna Amateur Astronomers), the Antares Club of St. Pölten and our host the Astroteam Mariazellerland under the organisation of Günther Eder. 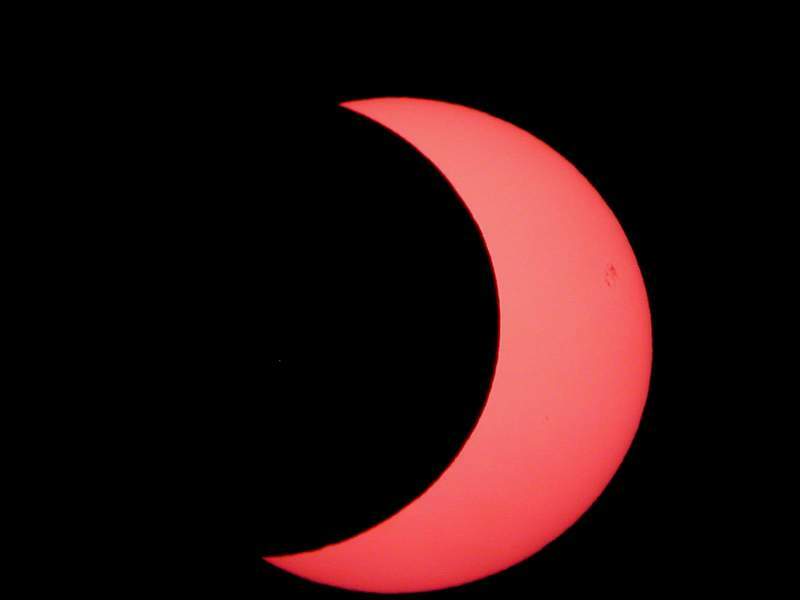 As always in the past at solar Eclipses we were lucky. 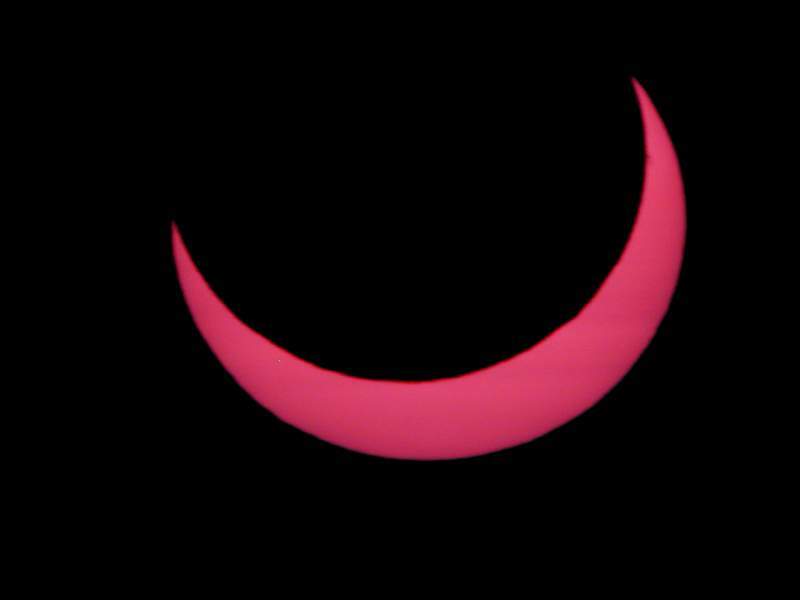 During Eclipse we had no clouds at all and a relative clear horizon. 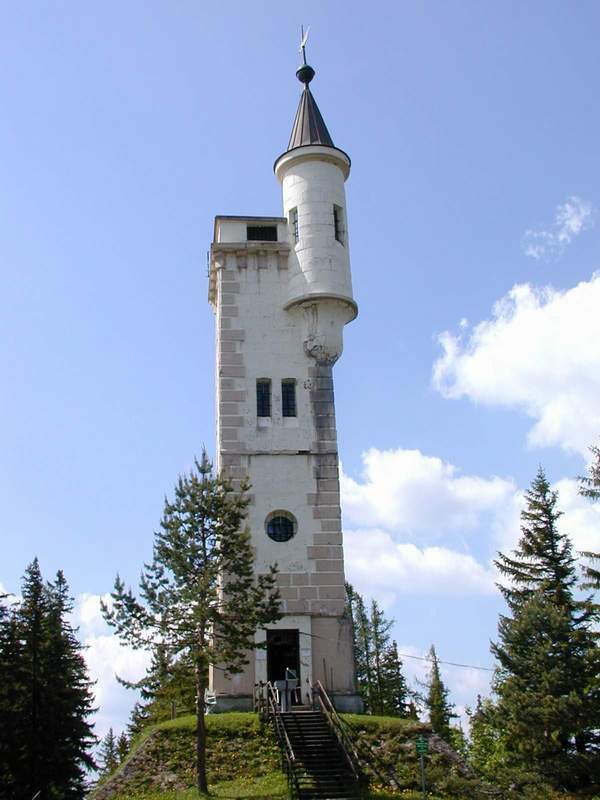 On top of the Buergeralpe there is a nice tower which was really crowded this morning with our people from our group who wanted to see and picture the sun rising in a special way.